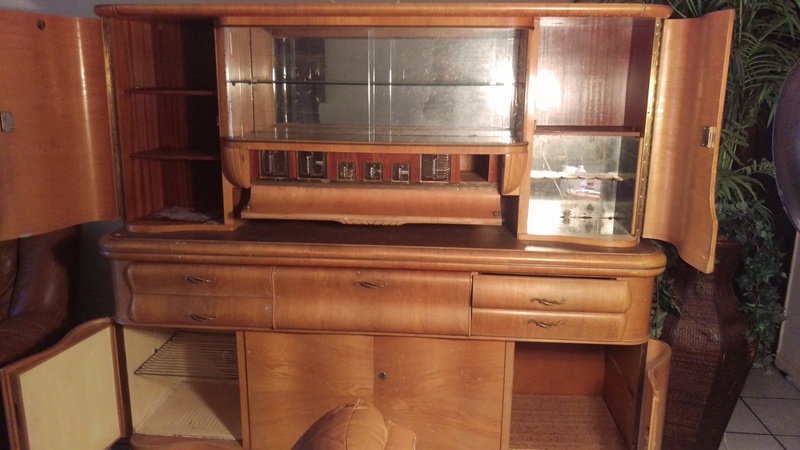 I believe the item I have is an antique iquor cupboard from maybe the Interwar period. 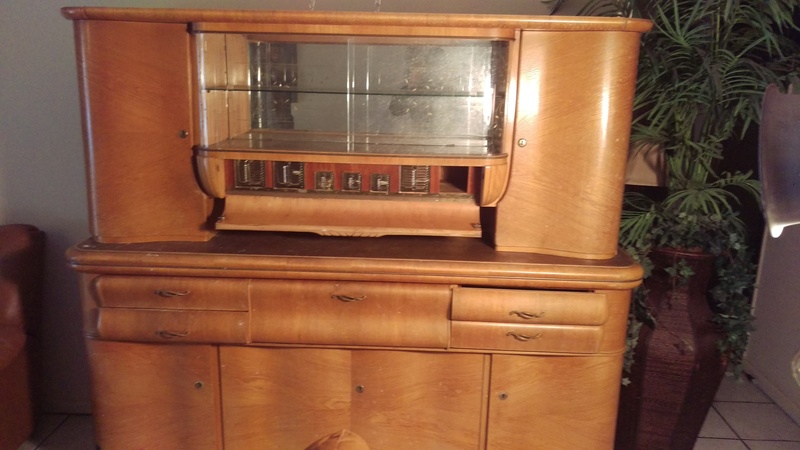 There are glass gerrix pouring chutes in the top middle section and on the lower left is some type of cooling cabinet. But I am guessing, if someone knows better please let me know. Thank you. 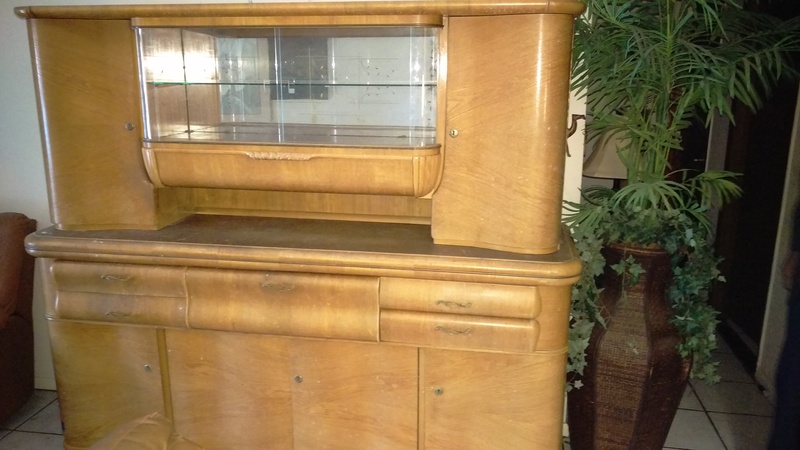 One Art Deco Style Liqour Cabinet. This piece is in the Art Deco style. Art Deco, also known as 'Style Moderne' was a movement in decorative arts and architecture which originated in the 1920s and which became a leading style in the US and Western Europe in the 30s. The style is intended to portray a sleek, anti-traditional elegance symbolizing wealth and sophistication. Art Deco furniture is distinguished by simple, clean shapes and lines, ornamented with geometric or stylized forms, frequently employing man-made materials such as plastic, as well as more natural ones such as crystal, glass and various metals.